Once I saw a pair of these Western Grebes running across the water like this I knew that I wanted to capture it on camera. But you don’t always get what you want! under a floating blind, I captured this incredible moment. 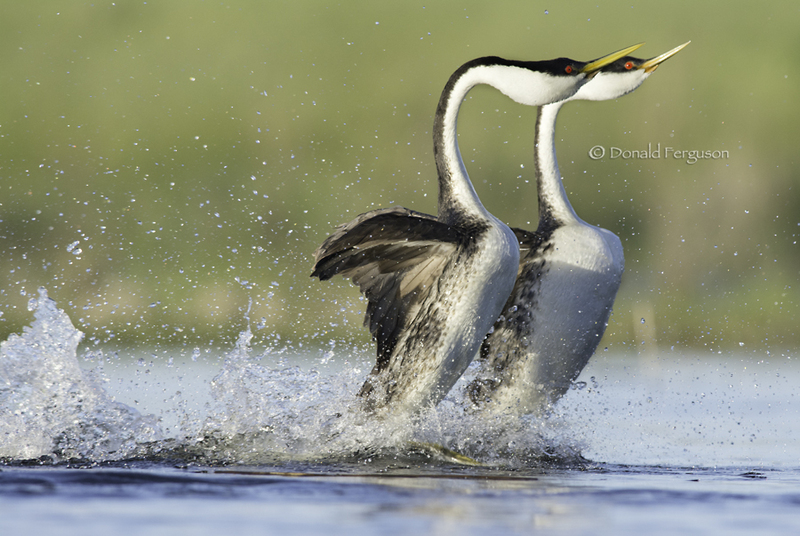 Courtship ritual, Western Grebe, Southwestern Saskatchewan.